During the Spring the Department of Continuing Education will offer its first online course in five years. 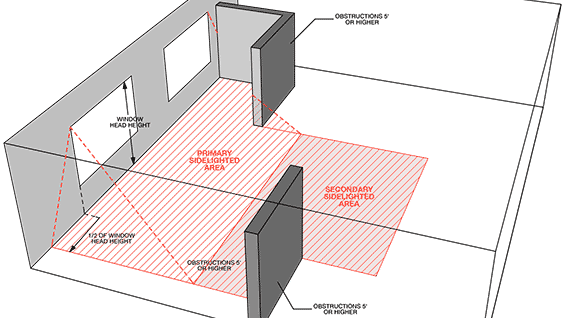 The topic, Daylighting and Codes, will be taught by a graduate of The Cooper Union, Matthew Tanteri A'84. The subject touches on architecture, engineering and art. "Daylighting is the practice of using natural light to illuminate building interiors, to reduce electric lighting energy and enhance human health," Mr. Tanteri says. "It's probably one of the oldest architectural practices. But it has been looked at freshly with the increasing importance of sustainability." New and old daylighting techniques have become a major strategy for reducing energy costs, according to Mr. Tanteri, who has run an architectural lighting consultancy for over 20 years. This Spring he will teach a continuing education course on Daylighting Fundamentals (in person), as well as the online course. Both are offered as part of the Green Building Design Certificate program and can be used as credits toward an architectural license. The online course focuses on national model energy code guidelines moving toward a "net zero" energy usage in residential and commercial buildings by 2030. These guidelines get adopted as building codes at the state and local level. "Daylight is really three different things: sunlight, skylight and reflected light," Mr. Tanteri says. "The most efficacious of those sources is skylight. It has less heat than direct sun, so when you admit it into a building you are not paying the penalty of removing as much heat from the light with your mechanical system as you would sunlight." However, in dense urban environments, where skylight is often limited to narrow slices of open sky, maximizing reflected light from the surround is often key. But direct sunlight has its place. New off-the-shelf technologies that include hybrid fiber optics, tubular daylighting devices and heliostats are making it easier to inject daylight into the core of a building. "It seems fantastic, the idea of collecting sunlight from a rooftop or facade and delivering it along the core of building, but it has become a reality." As a student Mr. Tanteri's artistic practice focused on light. "I was working with lasers and neon and projection. After graduating I moved into architectural lighting, where I was able to bring my interests in art, design and science together." He still does installations, including a recent LED wall in a Long Island City condominium tower. A native New Yorker, Mr. Tanteri moved to Austin, Texas a year ago. "Texas is hot and bright. It has made me more respectful of the power of the sun. It has markedly changed the way I approach my work." 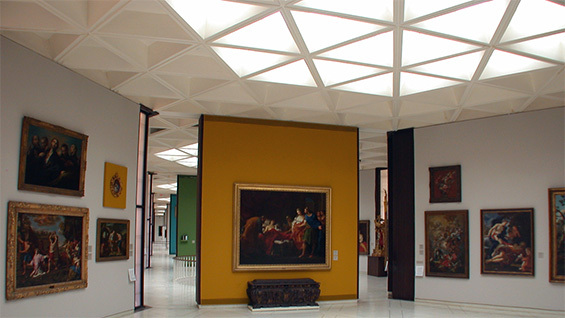 While the reduction of energy usage remains the main focus of new daylighting techniques, Mr. Tanteri notes that the methods have larger implications. “Professional organizations, such as the Illuminating Engineering Society (IES), have acknowledged that daylighting is not only about supplying illumination for performing a task, it is also critical to human health,” he says. “Recent scientific discovery of the extent of daylight’s impact on human health, such as through the entrainment of the circadian rhythm, is leading a wave of change in the designed environment. As a lighting consultant I am not just giving people lighting. I want them to have a view. I want them to feel good. It's what keeps us healthy ... and human."